An app that helps you to be 'romantic' by reminding you to send text messages to your loved ones. Greg Knauss, a web and software developer, has created a new easy-to-use app called 'Romantimatic'. 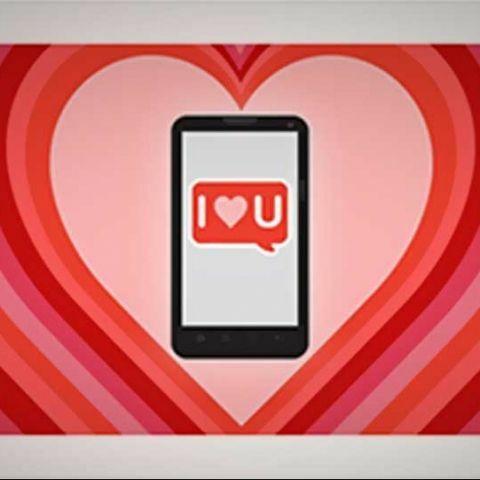 The app reminds the user to send romantic text messages or call your partner. The app requires you to enter your partner's phone number and set the time and frequency with which you want to receive notifications. It sends a push notification when it's time to call your partner or send them an SMS. Users can send messages like "Totally swamped, but can't get you off my mind," or write their own. Greg Knauss who has been married for 18 years got the idea for the app as he realized he some times forgets to tell his wife that he loves her. "We live in a world where it's easier to communicate with another human being than ever before - a world that also places relentless demands on our time and attention," the app's official page states. "Even with the amazing technology we have in our pockets, we can fly through the day without remembering to send a simple 'I love you' to the most important person in our lives. Romantimatic can help," according to the app description on its website. Greg told Mashable, "If I could hire some guy to stand behind me and once a day kick my chair and say 'Hey, dumbass, say something nice to your wife,' I would. It's a little easier and less creepy to have an app do it." The 'Romantimatic' iPhone app is available for $1.99 from the App Store.